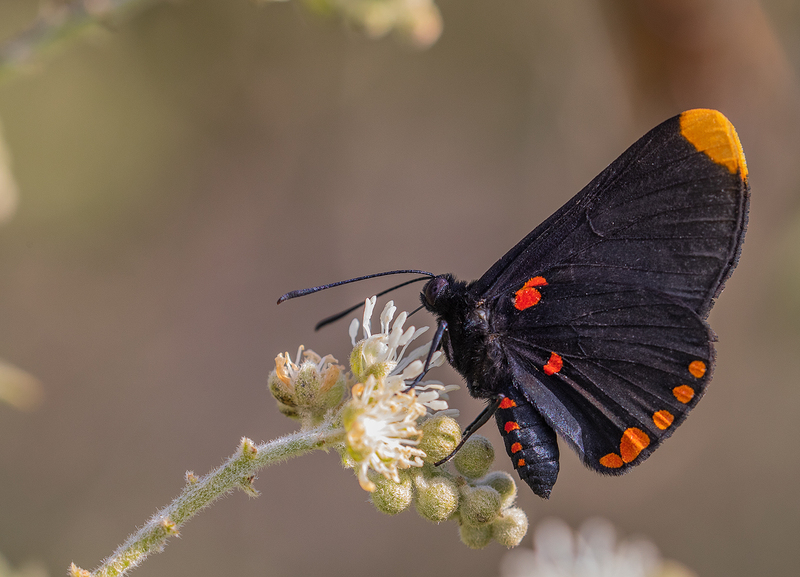 Identification: Upperside black. 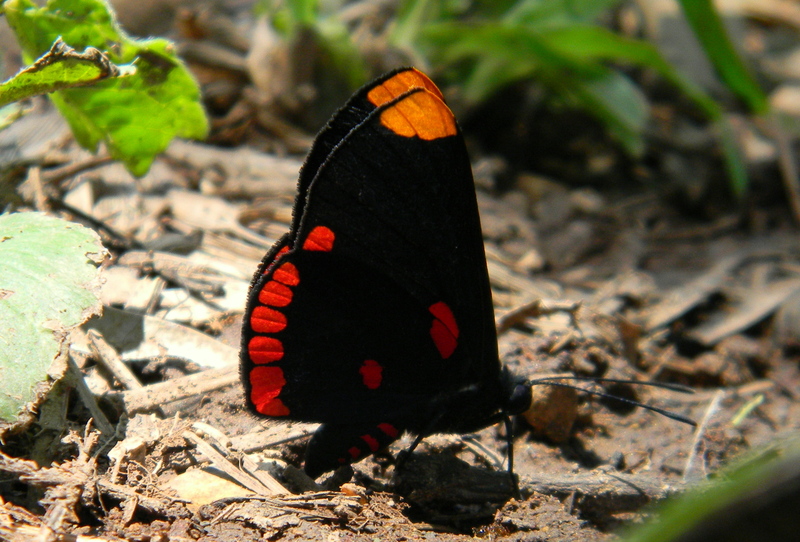 Tip of forewing yellow-orange; base of wing with red spot. 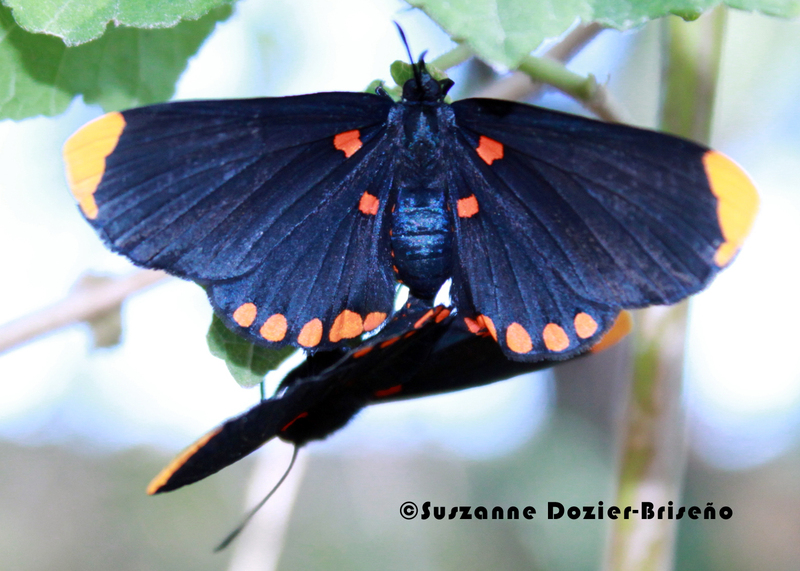 Hindwing outer margin with band of red spots. Wing Span: 1 1/2 - 1 7/8 inches (3.8 - 4.4 cm). Life History: Eggs are laid in groups of 10-30 on the host tree leaves, stems, or bark; caterpillars feed gregariously on leaves and pupate together in groups. Flight: January-November in South Texas. 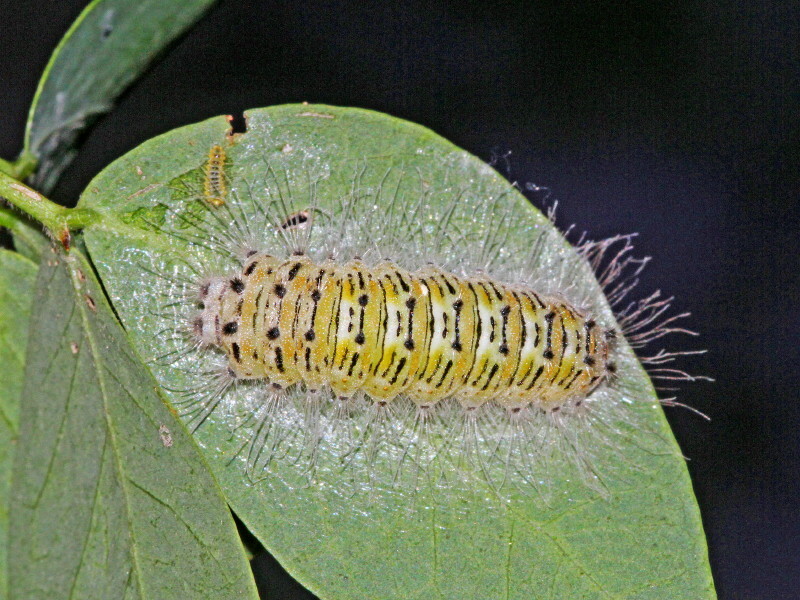 Caterpillar Hosts: Guamuchil (Pithecellobium dulce), Albizia, and Inga species; all in the pea family (Fabaceae). 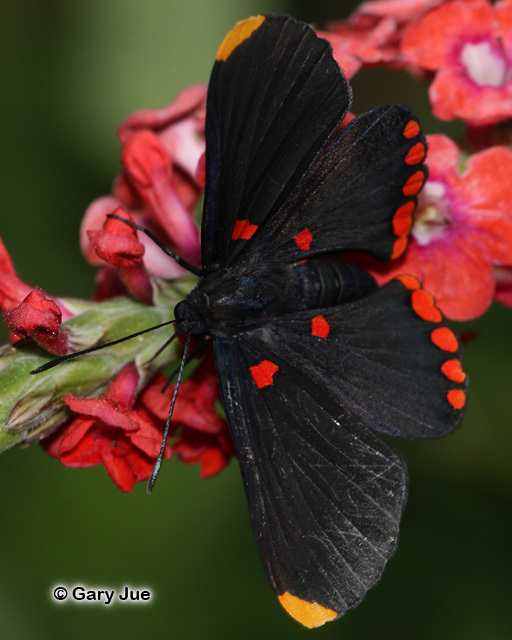 Adult Food: Nectar from flowers of Pithecellobium, Albizia, Inga, Coffea, Cordia, Lantana, and Citrus. Habitat: Lowland riparian tropical forest, city parks. Range: Lower Rio Grande Valley of South Texas south to Costa Rica. Conservation: Not required for occasional stray.